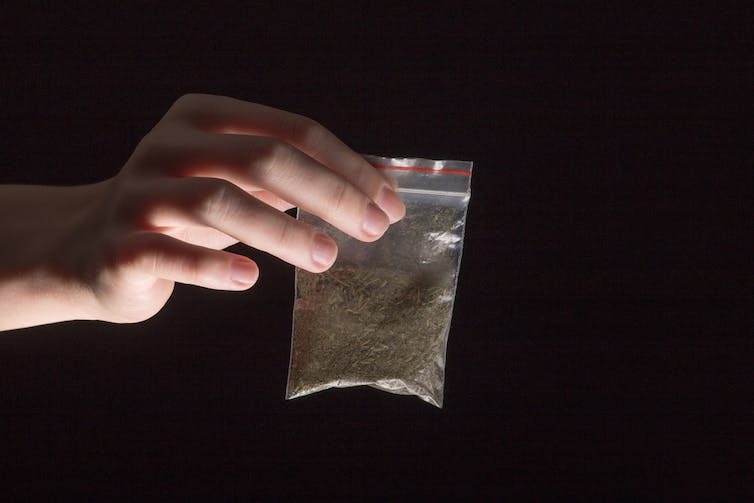 Children as young as 12 have been reported to be doing drug runs in London. Targeting the most vulnerable young people in society – usually looked-after children or those already known to social services – organised crime gangs are using grooming tactics to coerce, manipulate and force young children into criminality to pay off unwanted debts. Through my ongoing research with Youth Offending Teams, who work with young people in trouble with the law, I’ve found that young people are initially given cannabis, alcohol and cigarettes as a reward for helping with gangs’ dirty work. This can encourage addiction and once addicted, gang members tally up the cost of the drugs, allowing young people to quickly accumulate large debts. Vulnerable young people are becoming trapped in a situation where committing crime is one of very few ways that they can pay off their debt to the gang. The majority of them fail to realise that they are being manipulated and exploited. My continuing research with staff in youth offending services has found that victims of this new kind of grooming believe that their criminal activity is one of “choice”, and that by complying, gangs will respect them and give them a sense of belonging. Sadly, I’ve heard that this rarely materialises and through the use of violence and intimidation, gangs exert control and a level of ownership over the young person from which it is difficult to escape. Though gangs are typically highly territorial, laying claim over an area or postcode, they have expanded by moving into areas outside of major cities. This has resulted in the new phenomenon of “county lines”. This typically involves gangs from urban areas transporting class A drugs such as heroin and crack cocaine to underdeveloped drug markets in small counties and coastal towns. Exploited young people are used as the main transporters of these substances. One man from Peckham, South London, was convicted in January for running a gang supplying drugs in Plymouth. Criminal exploitation is not, however, restricted to drugs, and there is evidence that some young people are transporters of cash as well as knives and firearms. A report published in 2016 by the National Crime Agency was the first to acknowledge criminal exploitation in gangs, particularly through the use of county lines. The report detailed how organised crime gangs use mobile phone lines to forge a deal between drug users and drug mules. The phones are kept away from the drug supply and a relay system is put in place where the young person will deliver drugs, pick up cash and return to the urban location to begin the cycle again. Drug users, addicts and vulnerable girls living in small counties are also exploited to assist with dealing and are commonly forced to use their homes as a base for storing drugs and weapons. While London gangs are the dominant exporters to county lines, other gangs are reportedly travelling from Liverpool, Manchester and Birmingham. One particular gang from Merseyside has reportedly been the supplier of drugs across Lancashire, West Yorkshire, Devon and Cornwall. In late January, the government announced plans to crack down on the county lines run by gangs. An amendment was tabled to the Digital Economy Bill, currently making its way through parliament, that would force phone providers to disconnect mobiles and SIM cards believed to be connected with drug offences. Officials have estimated that a single phone line has the ability to generate up to £3,000 per day, and so the number of SIM cards thought to be used for this purpose, an estimated £2m a week. But with growing demand and increased levels of criminal organisation, it is unlikely that the government’s efforts will disrupt the drugs supply and infiltration of gangs into smaller towns. The removal of one gang will only create a void to be filled by another, which could encourage a vacuum of violence in the process as members fight to get to the top. The political focus on tackling this kind of child criminal exploitation is clearly welcome. Society once treated those children groomed for sexual exploitation as offenders of “child prostitution”. These attitudes have changed over the past decade due to greater political attention on tackling child sexual exploitation. We now immediately recognise the victim of child sexual exploitation as a child – and this ought to be the case for those criminally exploited by gangs. Instead, law enforcement agencies are criminalising victims of this exploitation, drawing them into a system of intense scrutiny and powerlessness. Society is now running the risk of criminalising the most vulnerable. There has already been evidence of this through the use of Joint Enterprise, a “lazy law” which has allowed the courts to criminalise gang members for slight association with a gang. The line between victim and offender has become too blurred to separate. So next time you hear of a young person being branded as a feral gang member, dig a little deeper and look for evidence that challenges your prejudices and assumptions.